The arrow is rich in meaning, a symbol of protection and strength, but most importantly a symbol of hope. 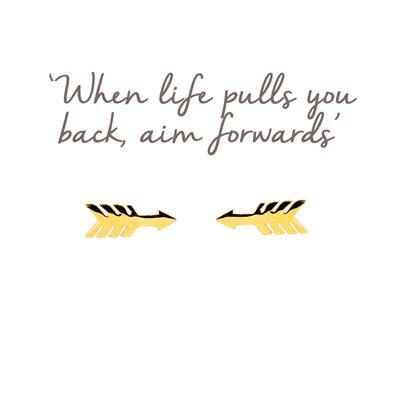 You have to pull an arrow backwards in order for it to soar forwards and on target. Wear your earrings or gift them to a friend as a reminder that though you may have taken a step backwards it's all part of the journey, hold your arrow to feel a surge of positivity for the future. The perfect gift to bring strength and optimism, an uplifting mantra to help a friend through a break-up or hard time or wear yourself, to remember, you can do this!